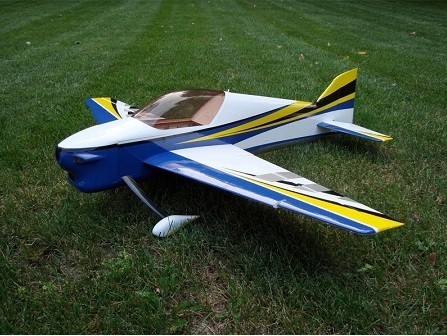 The Osiris is a pattern plane designed by Andrew Jesky for practicing precision flight in a smaller area. 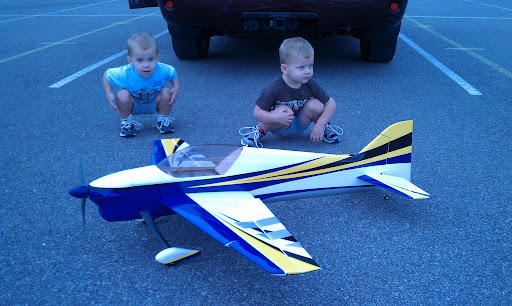 Andrew works with Ben, the owner of 3d Hobby Shop, to bring top of the line airplanes to the masses by selling them inexpensively and mostly assembled. Their aircraft would be considered an ARF (almost ready to fly), and most of the assembly has been done from the factory. My interests lie mostly in helicopters and 3D-style airplane flight, but I like to occasionally mix in gliders, jets, and even some off-road trucks. About six months ago I purchased a 70″ AJ Slick with full intentions of continuing my progression into 3D flight. After personally witnessing Andrew Jesky fly a Slick identical to mine, I noticed that part of his style that “grabbed” the attention of spectators was his ability to mix extremely precise maneuvers in with aggressive 3D flight. The combination really completed the routine, and displayed the full capabilities of Andrew, as well as the Slick. 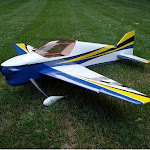 After a conversation with Andrew, he really sparked my interest in learning this side of RC airplane flight that I previously had little interest in ever pursuing. 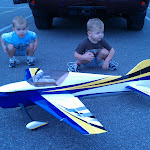 He directing my attention to an airplane that he and Ben had just released: The 62″ Osiris. After being treated to a demonstration flight by AJ himself, I knew that it was only a matter of time before one found its way into my hobby room. To my wonderful fortune, Ben and Andrew decided to shrink a pattern plane one more time, from a competition 2 meter plane, then to the 62″ Osiris, and now finally to a 47″ version. This really appeals to me for several reasons. 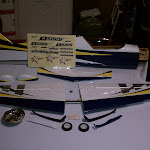 I could get the 47″ Osiris in the air for considerably less cost than the 62″ version, I already had several batteries that would work, and storage and transporting the plane would lend itself to being flown more often than the larger version. Upon opening the box I was surprised at the careful packaging that was given to the plane. 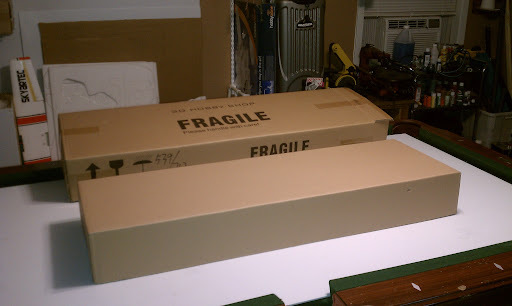 The plane was packed in a complete box, then packed in another compete box. My plane was in perfect shape, with just a little covering that needed to be tightened up. 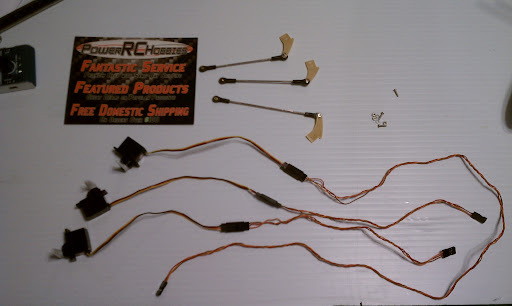 The pull-pull cables were already installed, strings were installed in the wings to assist in running servo wires, and the CA hinges were glued into one side of each of the control surfaces to speed up assembly. All of the hardware was of high quality. The canopy and cowling are already trimmed and ready for installation. You can follow the assembly photos and notes in the forum build thread, and you can see all the photos I took in this Picasa album. There was not an instruction manual in my package. I was not able to confirm if this was a mistake, or something that 3DHS is doing to save the trees! I was able to find the instructions for download at their site. The instructions are fine for anyone that has assembled ARF airplanes in the past. They are not overly specific as to which screws go where, or when to use the provided washers (or not). As someone who has assembled several helicopter kits, this can be slightly annoying and yet not surprising. Trust me when I say that critiquing a manual is much easier than writing one! The next step was quick and simple: Install the front landing gear. 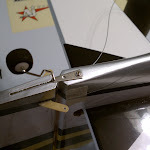 From my experience with helicopters, I use thread locker on all fasteners that screw into metal. The wheels come together quickly with the wheel pants and the swept carbon fiber landing gear. Just remember to install the gear swept back. Four allen screws mate the landing gear to the fuselage. Next I glued the control horns into all of the surfaces using CA. Once complete I attached the rudder to the fuselage with two drops of thin CA of each hinge. 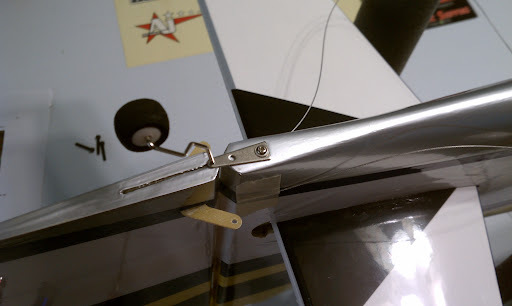 I roughed up the metal tail wheel wire with the edge of a file, then glued it into the bottom of the rudder with 30 minute epoxy. 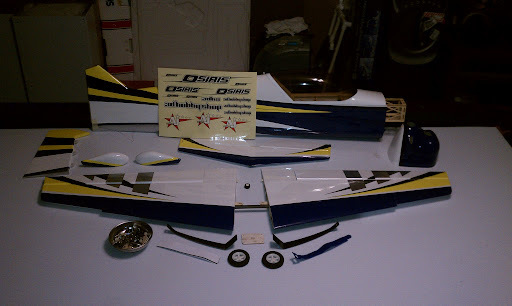 I had a slight issue with my kit when I slid the metal plate over the tail wheel wire. I did not have it in quite the correct position. 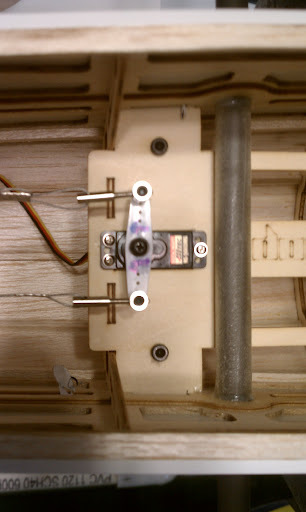 The result is that when the rudder moves side to side, the metal guide plate rotates slightly. I will keep a close eye on this as I will be flying mostly from a grass runway that may prove to weaken this point. While waiting for the 30 minute epoxy to harden, I installed the rudder servo and completed the control pull-pull cables to the rudder. I would like to see a kit of this quality include a few extra crimp fittings just in case you mess up you control wires. It is easy to mess one up and you don’t really want to have this on hold while ordering more. Something like that will cost you more in shipping than the parts themselves, and some are not fortunate enough to have a local store that will carry something like this. Be certain to leave yourself plenty of room to tighten these later. I also like to leave mine really loose until assembly is complete and setup is began. Slide the horizontal stabilizer into position. One of the features I really like on the plane is the carbon fiber wing tube. 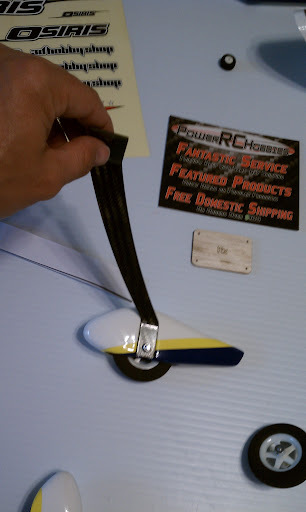 Slide it into position so that you can use it to level the horizontal stabilizer. 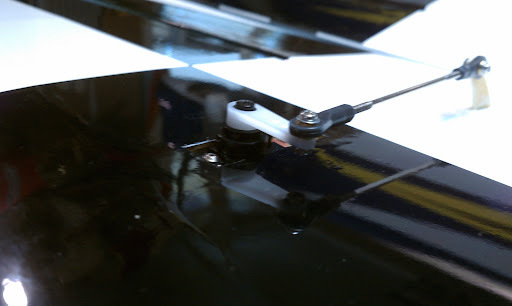 After measuring to be certain the stabilizer is centered, glue it in place using thin CA. Do not remove covering on the stab. Slide the left side elevator into the stab and glue with thin CA. 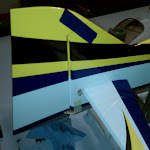 Hold it centered with painter’s masking tape while you test fit the right side elevator. It is critical that the left and right side be perfectly even. 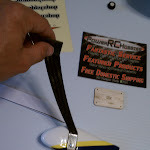 Once you are satisfied with the fit, remove enough to apply thick CA to connecting fiberglass part. Then slide the right side of elevator into position and use thin CA to attack right side elevator. Use tape to hold this centered while the glue dries. 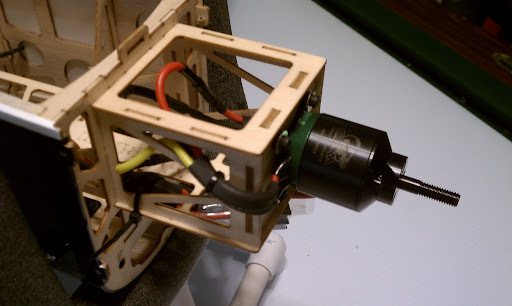 When I began installing the Cobra 2820/14 870 kv motor, I noticed that they included spacers to push the motor out further in case your motor is too short. However, mine was too long. To make matters worse, the bolt pattern in the firewall was 1.5mm different than that of the mount included with the Cobra motor. 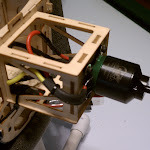 I used my electric rotary tool to elongate the holes in the motor mount and screwed the motor into position. I wish that an industry standard will soon take hold to simply things. I installed the electronic speed control on the bottom of the motor box so that will get direct cooling from the hole already in the cowl. With the longer motor, the cowl was not really long enough to fit properly. I installed it as far out as possible to keep the distance small between the cowl and the spinner. The cowl seems to be a really good quality that should last a long time. 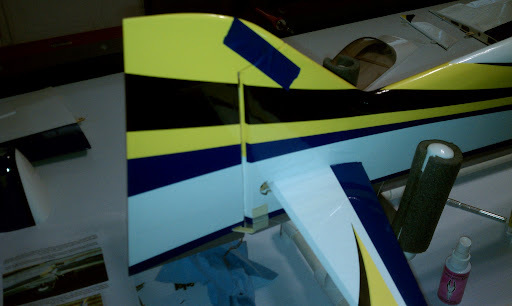 The paint matched the covering on the fuselage perfectly (something I really care about). 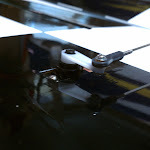 At this time I did not install the spinner and the prop as that is the last thing I will do, simply for safety reasons. The installation of the remaining servos was easy enough. 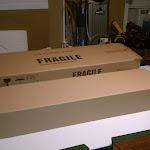 I did use the hot knife to slightly lengthen the opening to fit the Hi-Tec HS 5065’s. The ball lengths go together with ease. They were a little stiff for my liking, but I decided to leave them to see if I noticed any issues during setup. 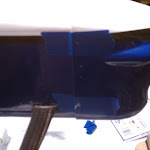 I glued the receiver mounting plate on the left side of the fuselage. This way when I plug the wings in, I can easily access the receiver. I also did this to allow for a switch to a DSMX receiver at a later time if I so desire. I installed Velcro straps as well as a piece of Velcro on the battery tray. I also applied thin CA to the areas of the canopy and top of the fuselage where I would be constantly handling the plane. I have found that these areas are easily damaged while trying to remove a battery with stubborn Velcro! I used my Hangar 9 digital level to simplify setup, so all of that went without a hitch. 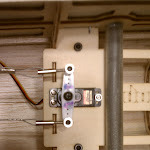 I also used my servo meter to be certain that I was not getting any binding in the ball links or control surface movement. On my airplanes I use flight modes to control dual rates. I will typically set this up so that the aileron and elevator share rates, and will put the rudder on a separate switch. My motor was turning in reverse, so while programming the CC Ice Lite 50 ESC I told it to reverse the motor direction. This saved me from having to pull the cowl off. I programmed in a braking effect so that while flying my down lines, the prop will spin to help slow the plane, or at least keep it from speeding up too much. With a pattern plane you want to be certain that your air speed remains the same throughout flight, no matter if you are flying horizontally or vertically. 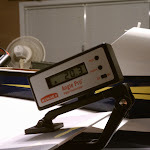 With an APC 11x7e prop, my watt meter was only showing a 27 amp pull with a 4s battery. The Osiris did just fine taking off and landing on a not so great grass runway. I did not do much taxiing as I figured this would put unnecessary stress on the wheel pants. Landing was much easier than I had anticipated. I wanted to bring it in slow due to the rough runway. After a few landings I was able to bring it in under power until I was flying around a foot off of the ground, then cut power to grease a three-point landing almost every time. I did not have to add any differential once I got the CG where I like it. 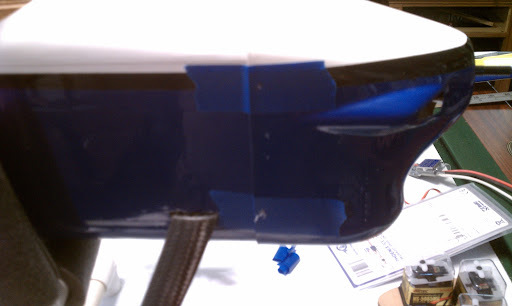 I did end up adding a little Rudder → Aileron, and Rudder → Elevator to get the knife edge flight where I like it. At this point the airplane will do a slow roll with little pilot assistance. It rolls perfectly in up and down lines. Although I need to practice, I could see that the plane would easily do knife edge loops with my rudder at mid rates. After completing around 10 flights with the airplane I must say that I prefer the 4s 2600mah in light wind conditions. 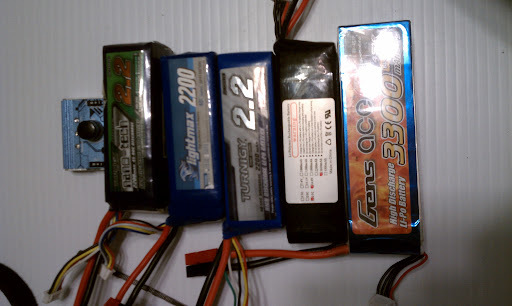 For heavy winds, I prefer to step up in weight to a 4s 3000mah battery. I had the opportunity to fly it in 25 mph winds and was very impressed. While my fellow club mates sat and watched, I put several flights on the Osiris without incident. With some airplanes I feel like I am having to really work hard in windy conditions, but his was not at all the case with the Osiris. 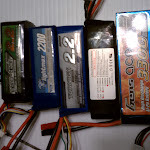 I also had several flights with some 4s 2200mah batteries. I felt like the plane flew fine, but did not have quite the flight time I was looking for and the power did not seem to be quite as good as the larger packs. 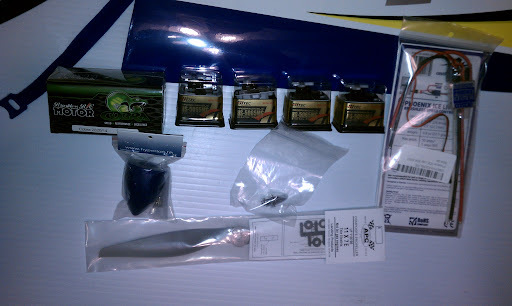 I could easily fly for 6-7 minutes on the 2600mah packs, and 7-8 minutes with the 3000mah packs. 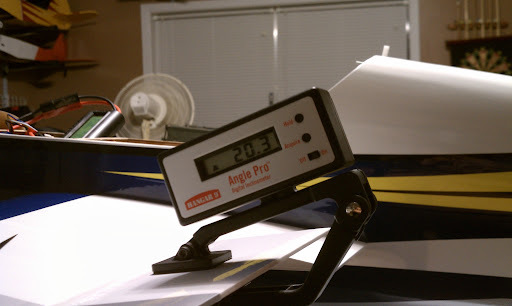 I plan on testing a few other props as I wouldn’t mind just a tad more vertical speed late in the flight. I will test the 12 x 6 next to feel the difference. Currently the motor and ESC are only slightly above ambient temperatures following a flight. Include the instruction manual, and make it a little more detailed. Include a couple extra screws and hardware, especially the not so common parts. Make the cowl just a little longer, or the motor box shorter to allow for a larger varying lengths of motors. The rear edges of the canopy cracked on me with very little pressure. My guess is a manufacturing defect. Really nice covering and hardware. Color scheme not only looks amazing, but is very visible even on an overcast day in low light. The instruction manual has color pictures. Magnets and latch already installed on canopy. Cowl, canopy and wings are basically ready to go! Pull-Pull cables and ball link control linkages. I must say that all of my excitement to review this plane was not in vain. The new challenges that this plane opens up have been a blast. This size allows me to afford several batteries so that I can fly non stop. It also fits in my small SUV without having to remove the wings, yet they are removed with one screw whenever the situation requires it. 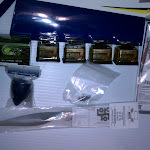 The price will allow just about everyone to give precision flight a try without busting their bank account. 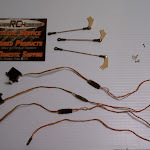 Special Thanks: I would like to send out a special thanks to Curtis Youngblood and Power RC Hobbies for assisting me with the acquisition of all of the electronics. Their service and assistance is the foremost reason that I refer others them.